It’s old news, but I only just heard about it. Apparently the Chinese government, in an attempt to control the selection of future Dalai Lamas, has banned reincarnation. (At least without government permission.) Good luck. You have as much a chance of banning reincarnation as you have banning breathing. It’s a fact of life, and it’s not going to go away because you make it illegal. 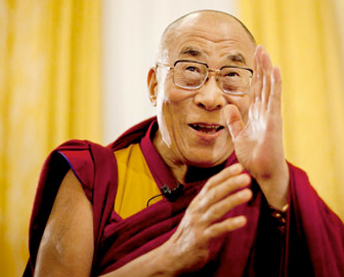 New Dalai Lamas are, by tradition, chosen after the previous holder of the title has died. A qualified successor is found by older monks, then taught what he (it’s always a boy) needs to know about the job. The system has worked pretty well for centuries. Now the Chinese authorities want to get involved. The political reasons are so obvious they’re hardly worth going into. Since Chinese troops invaded Tibet in 1950, and the 14th Dalai Lama left the Potala Palace for India a few years later, the Chinese government has gone to great lengths to suppress opposition to its rule. It has accused the Dalai Lama of being a political, not religious figure, bent on destroying Chinese national unity. Once he’s gone, they clearly don’t want another one like him. Reincarnation is not new. It’s been around literally forever. It’s how we humans develop knowledge through earthly experience. Thanks to reincarnation, we come back time and time again until we reach a point at which we no longer need to be here. It may take well over a hundred lifetimes before our souls feel there’s nothing more left to learn. If you’ve ever wondered about the deep divisions that seem to separate us, you’ll find that it all comes down to reincarnation. Younger souls, with fewer lifetimes behind them, tend to be more conservative, religious, and materialistic, while older souls, those with at least half their lives completed, lean toward being progressive, spiritual rather than simply religious, and less caught up in the race to accumulate wealth. Tibet, a place conducive to old soul values, was invaded by younger souls from China. Level 5 souls are drawn to positions of power, and that’s why you’ll find them in charge of the world’s armies. In the case of China’s People’s Liberation Army, what you have are Level 5 leaders (following orders from predominantly Level 5 civilians) in charge of Level 3, 4, and 5 troops. With fewer incarnations in their past, younger souls have still to learn that violence solves nothing, and that invading other countries creates resentment, fuels nationalism and results, more often than not, in an equal and opposite reaction. Older souls, having more earthly experience, gravitate toward nonviolence, preferring diplomacy and cooperation to violent coercion. As the soul ages, it gradually develops a stronger sense of concern for the future. Knowing it will keep returning to the Physical Plane, it wants to do its part to create a healthier and safer environment for future generations. And in its last incarnations, the awareness that we’re all connected pushes it to work for a better future, not out of concern for itself, but out of altruism. The inability to truly connect with the future is a major reason younger souls will seek immediate gratification, with little concern for long-term consequences. We have affordable food, cars, electronic gadgets, computers, and suchlike because the true cost is not factored into the price we pay. The hidden environmental costs, for example, are invariably ignored in the pursuit of profit. Recent events in Japan illustrate this only too well. Without knowing how to safely store spent fuel, or what to do when the unexpected happens, profit-motivated corporations built nuclear reactors that now, after the earthquake and subsequent tsunami, threaten not just Japan, but the entire world. Building nuclear reactors on fault lines where major earthquakes are not just likely, but guaranteed, is a folly of the greatest magnitude. The San Onofre nuclear plant, just a short distance from Los Angeles, is supposedly secure behind a 25-foot tsunami wall. Its owners assure us that it can withstand a 7.0 magnitude earthquake. The quake that hit Japan was 9.0. The tsunami that followed (according to the International Herald Tribune) was at least 76 feet high. And in case you think that the industry knows what it’s doing, let me tell you that Bechtel, the company that built the San Onofre plant, managed to install a 420-ton nuclear-reactor vessel backwards! Are these people insane? No, just greedy. There’s big bucks in the nuclear industry. Not because it’s particularly successful, but because we, the taxpayers, underwrite the overruns and, through massive subsidies, we make the whole business pretty much risk free. At least to its investors. The true cost of nuclear power is impossible to calculate. Will the industry invest in hospitals and medical care for generations of human beings exposed to dangerous levels of radiation? Will Southern California Edison build a new city and pay to relocate the inhabitants of Los Angeles if or when the San Onofre plant blows? Of course not. The true cost is not factored in because younger souls have a real problem seeing beyond this lifetime. Unaware that this is one of many lives, or that the laws of karma mean they’ll return to the “scene of the crime” to experience the effects of the problems they created, they may behave recklessly, focused on short-term profit and little else. If you’ve been following the news from Japan, you’ll have realized that it’s hard to get an accurate assessment of the dangers from the damaged reactors. One expert who studied the Chernobyl disaster said of the current crisis, “There’s an awful lot of misinformation, I think, being put out.” Since the same corporations (CBS, NBC, CNBC, MSNBC) that bring you the news also build nuclear reactors, don’t expect the truth to be piped into your home anytime soon. The truth might impact the bottom line. The truth is that nuclear power is immensely risky. Not a single reactor would ever have been built if the public knew the dangers. Consequently, the industry relies on lies and cover-ups to push through its agenda. In Japan, the government and the nuclear industry created a short animé cartoon film in which a character called Mr. Pluto reassures viewers that plutonium, a highly toxic substance, is totally safe. Just to prove the point, he even gives a cartoon kid a glass of plutonium-laced water to drink. In the U.K, back in the 1950s, the government assured the public that there was no danger from nuclear power. So confident were they in their assessment that they built the Dounreay reactor just about as far away from the Houses of Parliament as was possible. (It was housed just up the road from where I grew up on the most northerly and remote part of Scotland.) Now the reactor is being shut down. Beaches around the area are closed due to contamination, and the owners have been fined for illegal dumping. During its lifetime, there was at least one major blast, and numerous accidents were covered up by the Official Secrets Act. I asked my spirit guides for their take on what’s happening in Japan. “The Soul World is one-hundred percent opposed to the use of nuclear energy,” they said. “There have been many more accidents than have ever been reported. The risk to humanity from the use of nuclear power is considerable. The disaster in Japan has poisoned the food and water in the region and will impact humans for millennia. This is spiritually unacceptable. All energy should be renewable–without exception.” I got a chill when my spirit guides said that there is a serious danger that nuclear accidents will result in the planet no longer being viable. In other words, we could lose the only home we have. On the subject of the San Onofre nuclear plant, my spirit guides were emphatic. “The reactor should be shut down immediately.” Currently, heroic souls, both young and old, are fighting to prevent the risk of catastrophic explosions from the damaged Japanese reactors. Many of them are balancing karma. In the past they might have been involved in the decision to build nuclear reactors. They might even have been a part of the Manhattan Project, America’s effort to develop the atomic bomb during World War 2. Now, thanks to their soul’s desire to understand the principle of cause and effect, they will be part of the solution and not the problem. Reincarnation allows the soul to balance experiences, fix damage, and pay back debts from prior misdemeanors. It lets us learn from our mistakes. It makes personal evolution possible. Over many lifetimes, the process shifts our perspective from “me to we,” until we’re finally ready to move on. Which takes us back to the Dalai Lama. This particular old soul is on his last life. He is finally ready to return to the Astral Plane (from whence he came) for the last time. 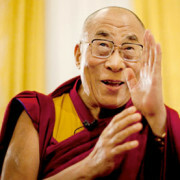 The Dalai Lama, himself, has stated that he doesn’t expect to return after this incarnation. That, however, is no reason for the Chinese authorities to drop their guard. Old souls will continue to reincarnate regardless of efforts to ban the practice. And in a chaotic world of greed and short-sighted materialism, it’s those wiser, older souls (like the Dalai Lama) who others will look to for guidance. All of which bodes well for humanity, but not so well for totalitarian and militaristic younger souls who will continue to see their authority challenged and undermined by those they lack the experience to understand. The nuclear industry will need to watch its back, too. In the future, souls who’ve been negatively impacted by the effects of nuclear fallout will return to actively lobby against destructive energy policies, in favor of wind, tide, solar and other safer, more reliable, and sustainable forms of power. And there’s not a thing the nuclear industry (or the Chinese government) can do about it. I can remember two hundred or more earlier lifetimes over the last one million years. Most of these were on Earth, a number on extrasolar planets, who are at varying levels of development and distance in light years from the Earth. Ancient civilizations on Earth, such as Lemuria and Atlantis really did exist millennia ago. I know all this from dream memory age regressions into earlier lifetimes. Are you familiar with the Books of U.S. Psychics Edgar Cayce, Ruth Montgomery, and Art Ford; MUCH interesting data in their books. There are extrasolar planets light years from Earth that are “Jurassic Parks” with primitive prehistoric fauna and flora on them. I know this, as I have traveled in deep space many times in inter life time periods. There is life of all kinds on many other planets just in our galaxy.